Geraldine received Jesus Christ as Savior and Lord in 1999. Soon after, she began serving as a photojournalist for Calvary Chapel Magazine in 2000. 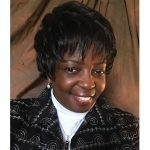 Geraldine became a full-time missionary in 2004 when God called her to join the staff of Calvary Chapel Magazine (CCM). In the last 17 years, Geraldine has had the privilege to participate in mission trips and visit missionaries in over 20 countries. It was during these trips that the Lord began to place in her heart ministry to hurting and disadvantaged women. Her time of preparation included online Bible College, leading women’s ministries at her home church (Calvary Chapel Fredericksburg), and outreaches to the quilting community. Also, during this time she made three mission trips to Israel. In each trip, she had the opportunity to serve alongside missionaries, Stephen and Pat Apple, who planted Calvary Chapel Tel Aviv and began a ministry to the poor of Israel. With each trip, Geraldine’s heart ached for the women of Calvary Chapel Tel Aviv who struggle to survive and need spiritual care, mentoring, and discipleship. During the last trip (in 2015) the Apples and Geraldine both sensed the Lord opening a door for Geraldine to join the ministry team at Shepherd’s Light, the umbrella ministry for Calvary Chapel Tel Aviv. They began to pray for the Lord’s will and timing. The call and timing were confirmed in Acts 16:6-15. These verses ministered three things: It was OK to leave CCM (verses 6-7); Pay attention to those who are calling for help and go, (verses 9-10); and He has prepared Geraldine for a sewing and quilting ministry (verses 13-15).